I am a Lecturer in the School of Social Sciences, Education and Social Work (SSESW), and a Fellow in the Centre for Evidence and Social Innovation (CESI). I am interested in research which seeks to make a difference to the lives of children and young people, particularly in relation to their emotional health and wellbeing. My research projects focus primarily on measuring children’s wellbeing using standardised questionnaires such as KIDSCREEN within large-scale surveys in schools. Along with colleagues in ARK, I run the online Kids’ Life and Times (KLT) survey of Primary 7 children in Northern Ireland. I am also involved with colleagues in CESI on a large-scale longitudinal study of the role of schools in children’s wellbeing (WiSe). As a member of the Centre for Children’s Rights at Queen’s I work with colleagues on a range of projects that involve a rights-based approach to research with children and young people. Department of Education (2015-2019) Monitoring Shared Education and bullying among primary and post-primary schools in Northern Ireland (with Dr Dirk Schubotz). EU (2017-2019) Participation for Protection (with Dr Siobhan McAlister, Preofessor Laura Lundy, Dr Karen Winter, Dr Nicola Carr and partners in Austria, Belgium, Germany, RoI, Romania. Education Endowment Fund (2016-2018) Evaluation of the Reciprocal Reading Programme (with Dr Liam O'Hare, Professor Paul Connolly, Dr Sheila McConnellogue, Dr Andy Biggart, Dr Patrick Stark). 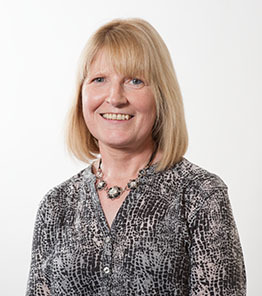 I am Coordinator of the EdD Programmes in the School of Social Sciences, Education and Social Work (SSESW). I am a member of the Ethics Committee in SSESW. How do cross-sectional surveys differ from longitudinal surveys?